Jawun also supports key reform agendas including Pama Futures. Communities supported include Aurukun, Coen, Cooktown, Gordonvale, Hopevale, Kalpowar, Kowanyama, Lockhart River, Mossman, Pormpuraaw, Seisia, Umagico, Weipa, and Yarrabah. Nicola is a HR and Administration professional, experienced in both the private and not-for-profit sector. She started her professional life in Hospitality as a cadet for the ACCOR chain before becoming involved in safety, quality, environment and eventually large project administration in the Civil and Commercial Construction Industries. 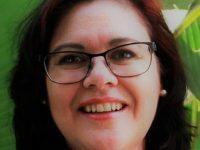 For the past five years she has worked with Queensland’s largest Indigenous construction company, Bama Services, in the capacity of Administration Manager. During this time she worked closely with the leadership team developing and implementing an “ISO” standard Integrated Management System across their five principle business streams. In 2015, Glenn was appointed as the Regional Director for Jawun’s Cape York operations supporting the Indigenous communities of Cape York. In June 2017 he was appointed to the role of Jawun’s General Manager, Regions, supporting the local leadership in East and West Kimberley, North East Arnhem Land, Cape York and more recently Goulburn Murray. Prior to joining Jawun, Glenn had a distinguished career working with some of Australia’s largest corporates. He has vast experience in management, including running his own businesses for five years, in excess of 11 years banking with Westpac and NAB and running Telstra stores across 3 states. Glenn joined Jawun 6 years after having done a secondment in 2009 working alongside the Archer Point Trust in Cooktown. Glenn is an avid learner holding a number of qualifications including a Bachelor of Accounting and an Executive MBA from RMIT in Melbourne, which provided him the opportunity to study overseas in four countries.